I remember when I was a child my grandfather would host friends and relatives in our home during the summer months. In those days the term “agritourism” (farm house) was completely unknown to my family, but we had a strong desire to share the beauty of the land and its landscapes. Vigna sui Laghi consists of several self-catering apartments, located within the winery Lanzolla Masseria, which has been run by my family for over forty years. The term Masseria is common in the south of Italy meaning ‘fortified farm’. When my grandfather purchased the land it was planted with tobacco but later he decided to plant a vineyard and create conditions to be able to provide adequate irrigation for the fields. As a result two lakes were created from a natural source. Today, the Masseria consists of 110 hectares of which 25 hectares are vineyards, ten are citrus groves and five are olive groves. The remainder of the land is left uncultivated so that the natural vegetation of the area, consisting of Mediterranean scrub and oak woods, can develop freely. Thanks to the wonderful natural environment and Vigna Sui Laghi’s comfortable apartments, our farm is appreciated by travellers from all over the world. 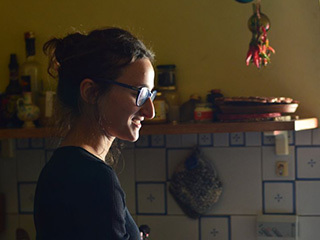 My name is Enrica I am 32 years old and together with my two older sisters live in a wonderful corner of Basilicata, between vineyards, citrus orchards and olive groves with the Mediterranean ocean on the horizon. As well as producing wine, I have a diploma in piano and I love to share my passion for nature, for good food, and of course …art. I like swimming, travelling and hosting people from all over the world. I love to provide a haven for guests who are looking for a relaxing and stress free environment. Join me, here, the air smells of orange blossoms and the Mediterranean. 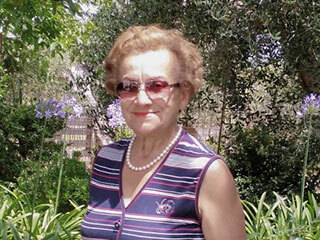 I am a positive and spirited person, always concerned with what is best for the company, love good food and my beautiful grandchildren. I am a former English teacher, but I never stop for a moment because I like to work and travel. My father was the pioneer of this area and I have many stories to tell. I often prepare the focaccia or jam for our guests and can suggest where to go shopping to try the best products of the area. Hello! 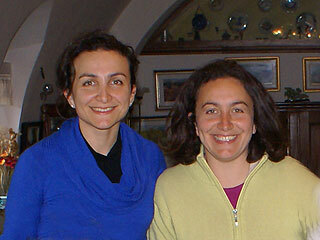 We are Isabella and Teresa, sisters of Enrica and mother’s to a young and growing family. We take care of the wine production and marketing, and with the workload and many unexpected challenges you might not see so much of us during your stay. Our production philosophy is to provide quality wines at an affordable price so that everyone can enjoy good healthy wine. The vineyard for us is not only a great natural and cultural heritage but an important frame for our daily lives. We do not want to stress the soil or ourselves. Come and visit the winery – our wines are waiting to be appreciated.